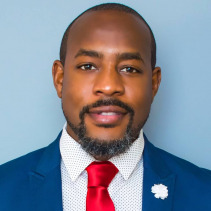 Mr. Williams is a seasoned Licensed Clinical Social Worker and psychotherapist who utilizes Solution-Focused Therapy, Insight Oriented Psychotherapy, Emotional Focused Therapy, and Cognitive Behavioral Therapy as a catalyst for change with his clients. His typical clients struggle with depression, anxiety, love addiction, anger management, attachment issues, divorce/separation, and blended family dynamics. He is able to see individuals, couples and families. He specializes in working with the adolescent to the adult male population. Helping them navigate and understand their purpose in life while providing relatable life experiences to their circumstances. Mr. Williams has worked as a Licensed Social Worker for over ten years providing therapy, mentoring and teaching life skills. He provides psychotherapy for individuals, family, and groups. He also provides parental consultation as well as couples therapy. Mr. Williams is a certified marriage and family/couples counselor.